Imagine a city spending money to refurbish its deteriorated streets. They look beautiful and move people smoothly and efficiently around town. Now, imagine the city digging up those streets only two years later to replace water pipes buried below. There’s a buzz around town, with residents asking city officials why their newly repaired streets (that they’re still paying for) have been destroyed. These types of situations happen more than anyone would care to admit. Sometimes lack of maintenance means higher costs down the road. Sometimes a city doesn’t make the effort to apply for grant money that could have covered at least part of the cost of an expensive project. Other times, projects are not put out for bid in a timely fashion and costs suddenly go through the roof. These are just some examples of how a city’s infrastructure needs can get off-course. How does this happen? And, more importantly, how can we prevent it? The short answer: proper planning. While it may seem that concrete should last forever, it does not. 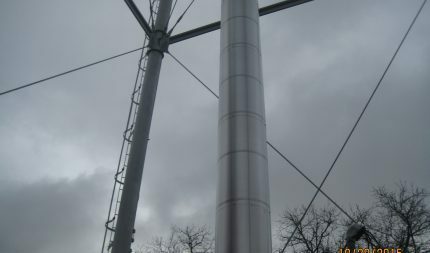 Everything – water pipes, sewer pipes, storm sewer pipes, water towers, streets – has a service life. Sound planning around the service life of a city’s infrastructure can save residents a lot of money and headache. While city planning, in general, is a good idea for a growing community, it’s daunting for smaller towns with flat or declining populations. However, developing a Capital Improvement Plan (CIP) is still wise for any council. A CIP can help a city secure funding, prevent project pileup and alleviate surface-level projects that have to be torn up a few years later because of a deeper issue. When we put together a CIP for a city, we dive into every system to develop a list of its infrastructure: water (supply, storage, treatment, distribution), sewer (collection, pumping, treatment), storm sewer (drainage), streets and electrical. Our experts assess the age and condition of each item, estimating the remainder of its service life. From there, we compile a list of probable upcoming projects we suspect will need attention. The list is generally structured to identify needs in five-year increments. Sound familiar? A list of improvement projects is overwhelming, especially when evaluating the associated costs. CIPs provide structure for addressing infrastructure needs and costs. A good plan will evaluate and optimize potential revenue sources, taking into account existing debt and when its scheduled to expire. A good CIP meshes a community’s needs with a revenue plan that fits available resources. Residents generally don’t like “surprise” projects they didn’t know were coming. 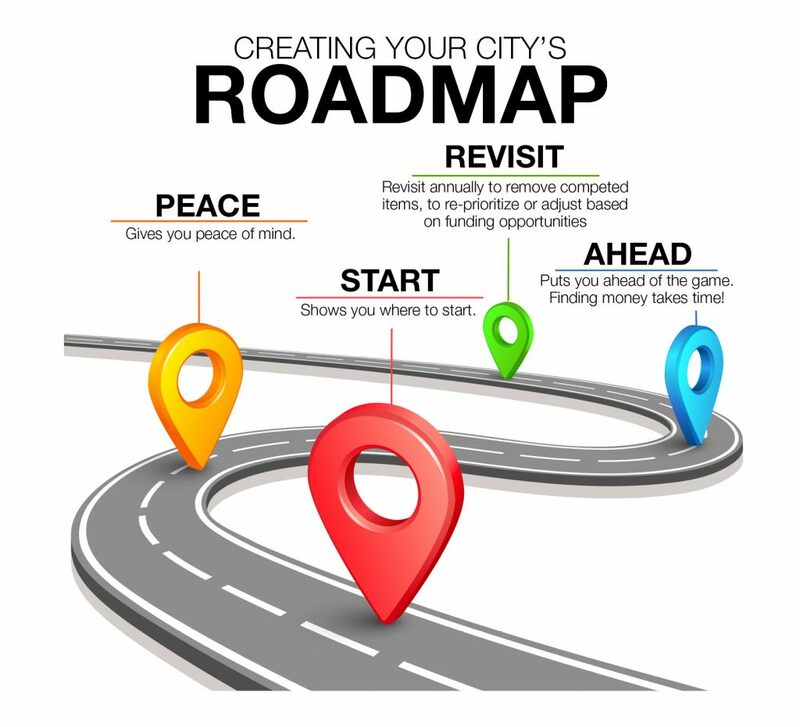 A CIP that’s publicly developed and published helps inform citizens of what’s ahead and allows the community to mentally and financially prepare. If the CIP process is open and properly promoted, city officials can feel confident residents and other stakeholders are duly informed of projects on the horizon. At that point, it’s likely the city would have conducted several public input meetings, surveyed citizens and mailed informational letters, among other communication and feedback efforts. City council members serve varying term lengths, and sometimes don’t finish their terms. Similarly, city employees don’t stay forever. While it varies by the particulars of a city’s political and workforce dynamics, all cities experience council and city employee turnover to some degree. This means there’s a continual learning curve for a council and administrators to manage. CIPs streamline the orientation process by efficiently communicating the current status of the city’s infrastructure, as well as what is ahead. Stakeholders can be quickly brought up to speed on what is there now, what is happening in the future and how the city plans to pay for all of it. They can breeze through the summary information or read the in-depth analysis, to suit their purposes. Since funding is often the first thing people think about when city infrastructure comes up, maybe this category should be first on the list. It is often the topic that causes the most stress and hesitation for decision makers. But, like everything else, a good plan puts you ahead of the game. This is especially true when lining up grants or loans. An infrastructure CIP will provide a long-term financial plan to meet the needs of a community. The earlier this process starts, the more chances may be available to obtain project funding, which could greatly reduce the burden on taxpayers. Councils should understand what infrastructure they own and its life expectancy. 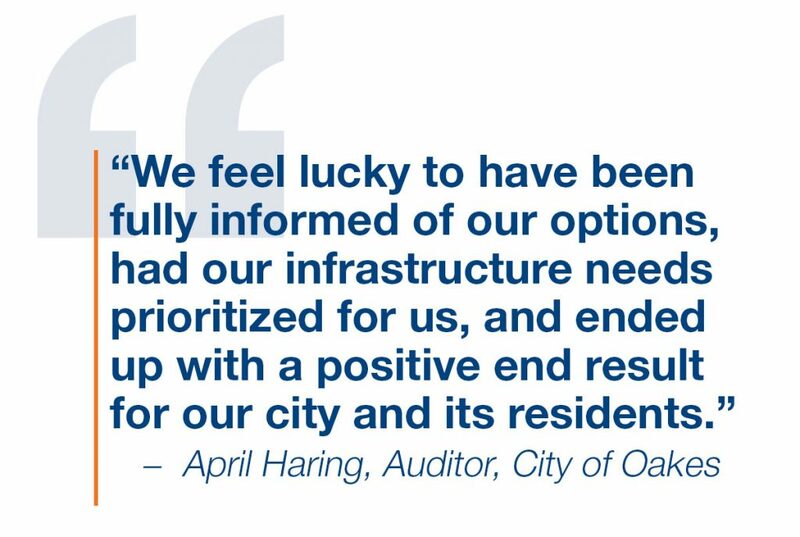 If there’s no plan or attention given to the condition of a city’s infrastructure, it leaves that community vulnerable to infrastructure failures. This is especially dangerous in communities with declining populations or with a high proportion of residents on a fixed income. Those types of cities often don’t have the flexibility to effectively react to urgent or emergency needs. Good planning gives everyone peace of mind, sets appropriate expectations and provides stability for a city’s future. If you’re ready to take steps toward creating a long term vision for your city, give us a call. We’ll set you on the right path.